Teilhard was a Catholic philosopher best known for his revolutionary revision of evolution. Instead of the traditional phylogenic approach begun by Darwin and his ilk, Teilhard used Consciousness as his common thread… all the way down… to the molecular… It is all Consciousness. He gifted us with a spiritual telos involving what he called the Noosphere – a sphere of thought arising naturally from the Biosphere (the sphere of Life). Technocrats might refer to this phenomenon as a manifestation of the Internet; the Earth centric among us may claim that Gaia herself has reached a new stage of her own consciousness through human thought; a cosmologist might see this nexus of self-reflection as the Universe looking back at herself. For Teilhard, though, it is Life moving into the purely spiritual. Music has the capacity to act as a bridge to the non-rational, pre-verbal depths of consciousness – a world prior to the imagistic land of dream; prior to light and shadow; a world close to the skin – that permeable membrane “separating” our inside from our outside. Music also acts as a vehicle of transcendence to the diaphanous realms of spirit. 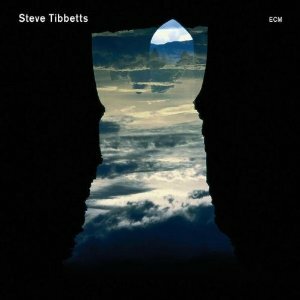 Tibbetts and his long-time percussionist Marc Anderson traverse the vertical trajectory of the spirit, but also walk lightly along the horizontal – the connections that make us all too human, the aesthetics of culture and geography, the ineffable world of Feeling. So, yes, Natural Causes is beautiful; it is elegant; there is a depth of restraint and subtlety. But how do we begin to describe the complex relationship of transcendence and immanence? Words fall short in our attempts to describe the “space between”. Perhaps this is where we turn to music as an expression of our pre-linguistic experience, and expression of that elusive quality we call Compassion.